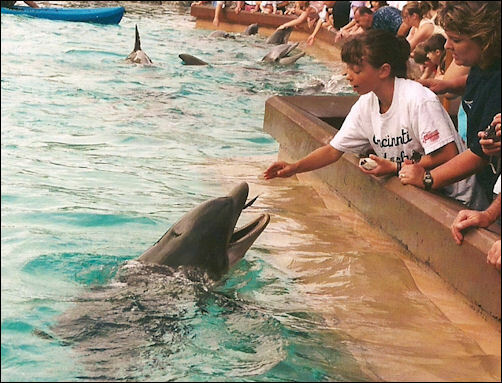 swim with the dolphins. 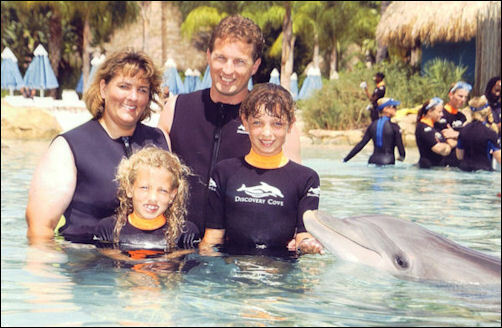 A friend of mine went to Hawaii over the holidays and swam with dolphins which reminded me of the time Alex and Taylor got to swim with the dolphins. 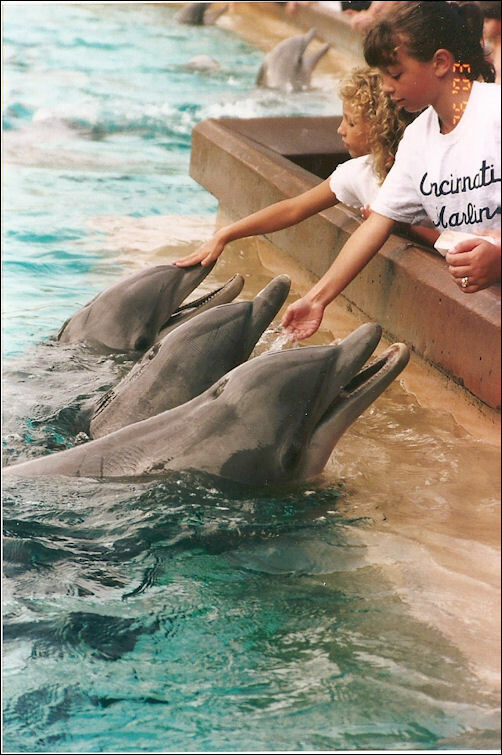 It was pretty cool, because they had no idea they were going to swim with the dolphins. 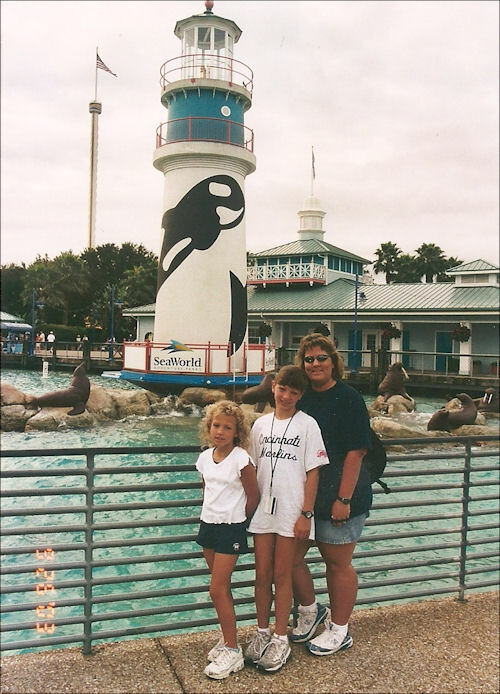 In fact they didn’t even know we were going to Disney World. We spent the 1st four days doing the Disney World thing. As far as the girls knew that was all we were going to do. 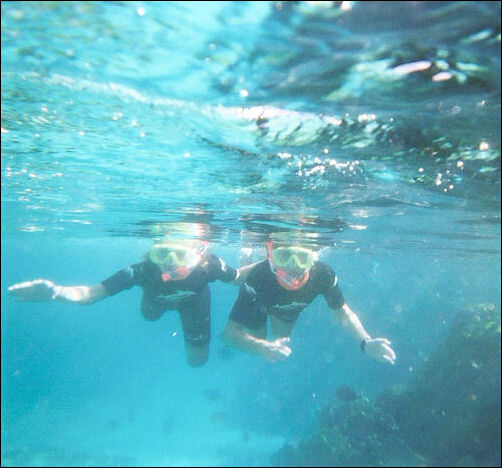 So after four days we went to Sea Wold and Discovery Cove. At Sea World they have an exhibit where there are a bunch of bottle nose dolphins that you can feed (touch and play with if you are lucky). 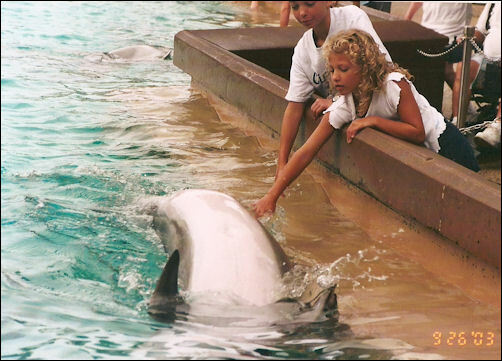 The girls get the dolphins to come close enough to touch. 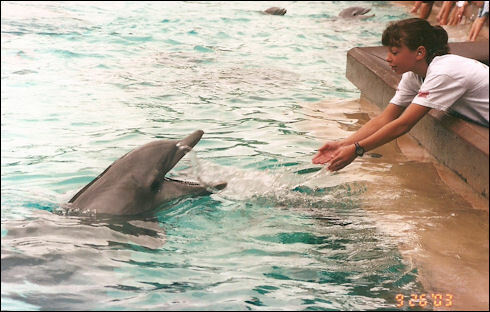 Alex was playing with one of the dolphins. They were splash back and forth at each other. 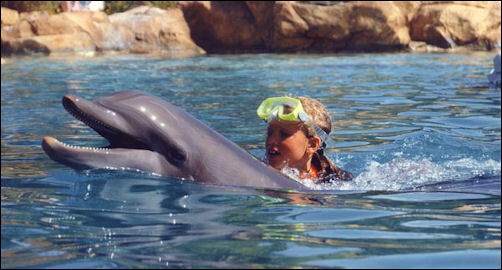 Discovery Cove is where you can swim with the dolphins. 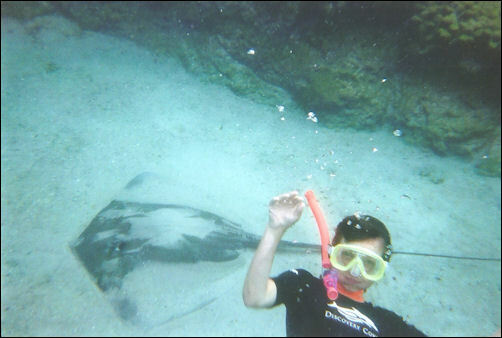 Also, they have the coral reef lagoon where you snorkel with sting ray and assorted tropical fish. They were extremely surprised and exited when they found out why we were at Discovery Cove. 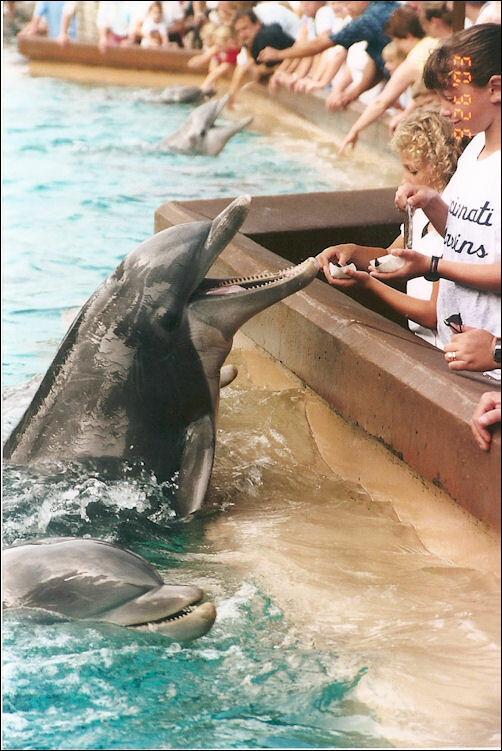 The first thing we did was the “dolphin experience”. 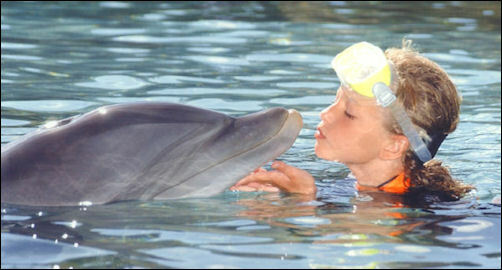 Alex and Taylor each got some one on one with a dolphin. 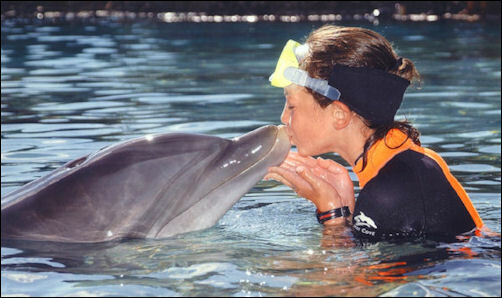 They got to interact with the doplhin including a ride on the dolphin and a kiss. After the dolphin experience we hung out and snorkeled in the lagoon. 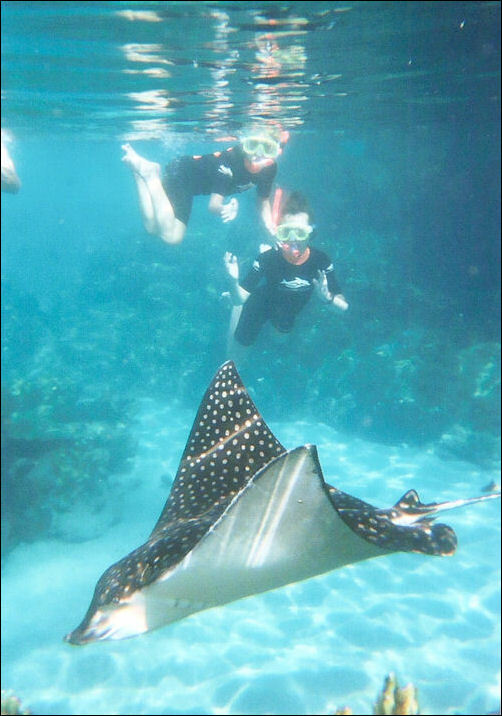 The lagoon is an articifial coral reef with sting ray and tropical fish. This was actually as cool or cooler than the dolphin experience. It was hilarious at the start, because there are these sting ray swimming around with you. Taylor was completely freaked our by the sting ray. She was on my back and any time one came even near us she would scream. It was funny because the scream would come out through her snorkel. After a while I got her to get off my back and had her swim next to me otherwise she was going to drowned me. By the end she was swimming on her own and was not afraid at all. Alex wasn’t afraid at all. She was swimming around trying to touch the fish. The lagoon was 12 – 14 feet deep in places. 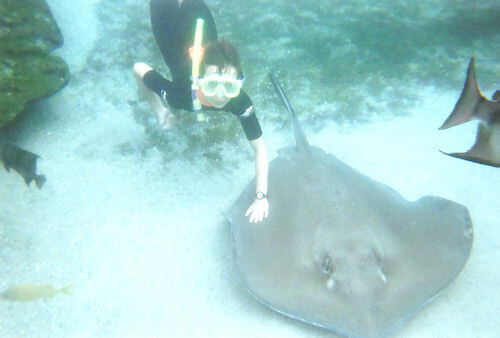 After getting comfortable she was swimming down to the bottom and touching the largest sting ray (some as large as 5-6 foot wing span) who were hanging out down there. I remember one of the life guards asking how old she was because she was doing things even some of the life guards couldn’t do (like swim to the bottom of the deep sections for long periods of time).